This is the user guide for GridPro7 which works with Windows 2000, XP, Vista, and 7 as well as Windows Server 2000, 2003, 2008, and 2008 R2. There are both 32bit and 64bit versions of the software. As more and more enterprise employees work remotely, from home offices or from mobile locations, the need for reliable and secure application access is growing. While current solutions can leverage SSL to provide a secure connection over the Internet, they cannot protect against threats on the remote computer such as key loggers, stored browser passwords, or simple shoulder surfing. The GridPro™ authentication solution can help. By converting existing passwords into a secure one-time code that changes every time you log-in, a GridCode, your password will be protected against many common threats. These instructions are applicable for both the 32bit and the 64bit versions of the software. Where there is any deviation or difference in functionality, it will be noted. Remote desktop sharing is supported as part of GridPro7. 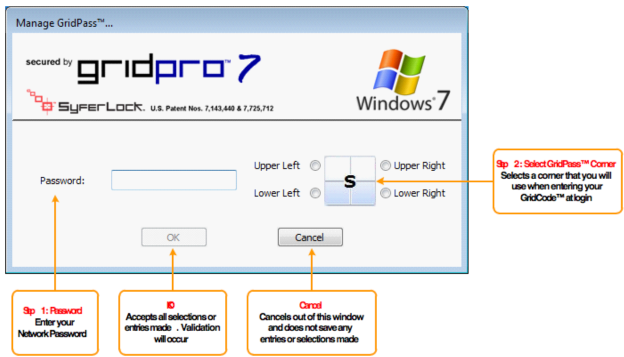 Users connecting to a remote desktop on which GridPro7 has been installed will have the same experience as a user that is connected to the machine console. 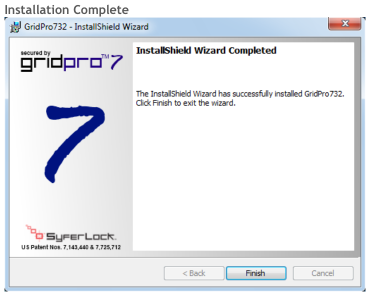 There are two versions of GridPro7 available – 32bit version and 64bit version. The 32bit version will only run on a machine running a 32bit Windows operating system; and the 64bit only on a machine that runs a 64bit operating system. There are no custom options to be chosen during the installation process; only the acknowledgement of the license agreement. The installation program will need to be executed using an ID that has administrative rights to the machine. 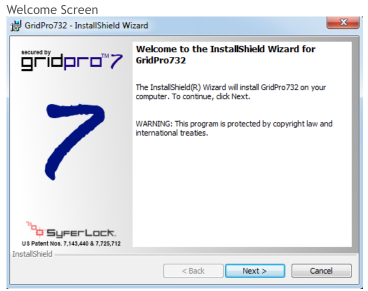 Once installed on a machine, all users logging onto the machine will be required to use GridPro7. The installation wizard completes the installation and displays the Installation Completed confirmation screen. Log out and return to the main log-on screen to begin the Registration and Log-On process. If this is the first time that you are using the GridPro authentication solution, you will need to register as a user and define a target position/corner. This is the position/corner that you will use to log-on. Step 1: Password – This password is your network password. Remember, it is case sensitive and will be masked (not displayed). Enter your password and go to Step 2. Step 2: Select Target Position/Corner - The target position/corner selection is necessary as it will define the target position/corner from which the user will enter the GridCode value. To select the target position/corner, click the radio button that corresponds to the desired target position/corner. Once Steps 1 and 2 have been completed, click the OK button. If all fields have been successfully completed, you will be successfully registered. If you do not wish to register at this time, click the Cancel button which will bring you back to the log-on page to enter your username. If you entered an incorrect or invalid password, a validation message will be displayed and you will be taken back to the Log-on screen to enter your username. TIP: When using the keyboard to navigate through the Manage GridPro user credentials, once you tab to the target position/corner selection options, you may then use the arrow keys to select your target position/corner. 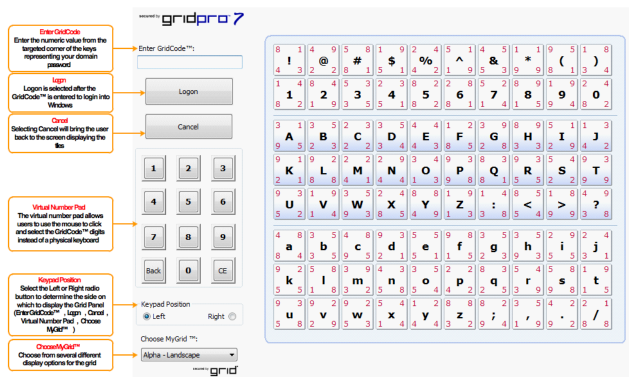 To log-on to your application using GridPro, click on the tile corresponding to your user ID. 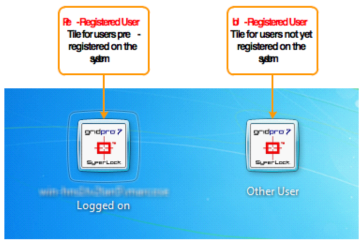 If you have not yet registered on the machine with the GridPro authentication solution, click on the ‘Other User’ tile. If the ‘Logged on’ user tile is selected, the GridPro log-on screen as discussed in ‘Section 5 – GridPro Log-on’ will be displayed. If the ‘Other User’ tile is selected, the screen shown below will be displayed. Enter your Domain and Username and click on the right arrow. You will be directed to the screen explain in ‘Section 3 - Registering as New User’, where you can provide your network password and select your target position/corner. Once you have successfully registered, you will be brought to the GridPro Log-on page. To log-on, replace each letter or symbol in your password with the value in the target position/corner that you chose at registration. This is entered in the ‘Enter GridCode’ field. 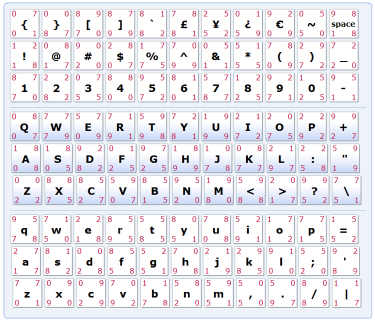 The GridCode may be entered using the keyboard or the virtual number pad on the screen. 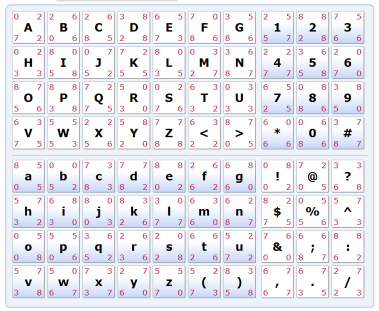 Simply click the number on the number pad which will input the value in the GridCode field. 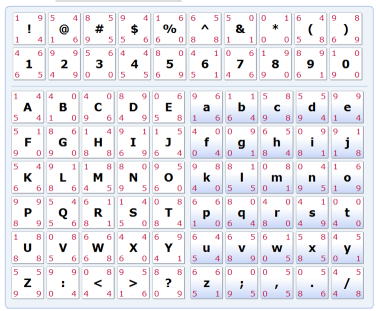 Users may also change the display of the Grid as well as the side which the panel is displayed. There are several options to select from the "Choose MyGrid" drop down list. (Reference Appendix C for all display options.) This will become your default display once you have successfully logged on. 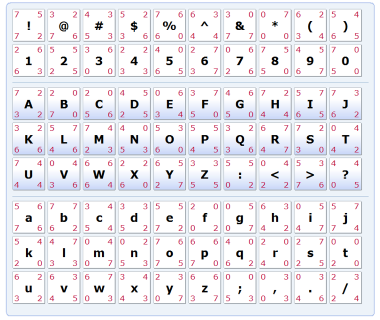 If you change your MyGrid selection, but fail at logging on, your grid layout will default back to the original display. 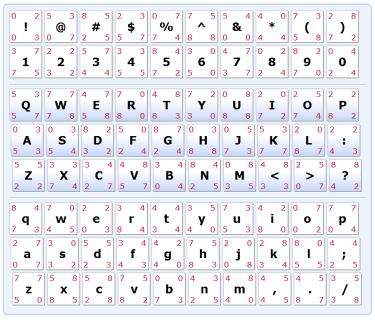 The "Keypad Position" option allows for the entry panel to be displayed on the right or left side of the screen. By default, the left side is the default display. To change the display to the right, select the right radio button and the screen will automatically update. Once you have entered your GridCode, you will be able to log into Windows or log-out by selecting the Cancel button. If the Log-on button is selected, the system will validate the GridCode value entered. 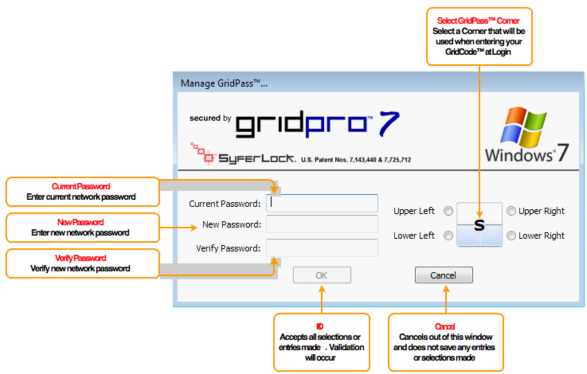 If the GridCode is correct, GridPro will authenticate you and complete the log-on process. 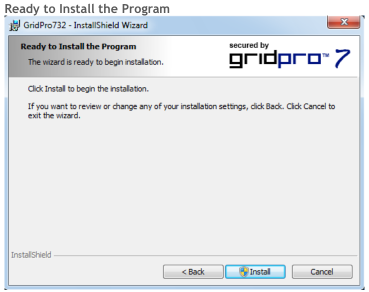 To manage your GridPro user credentials, press Ctrl + Alt + Delete. Select the ‘‘Change a password’ option from the list of options displayed, and on the next screen pick the tile corresponding to the user whose credentials need to be modified. In order to ensure that your cached credentials are in sync with your new password, whenever you change your password make sure you (Windows+L) Lock the system and then unlock with the new password, while still connected to the domain. The above screen will be displayed that allows you to change your network password and/or select a new target position/corner. 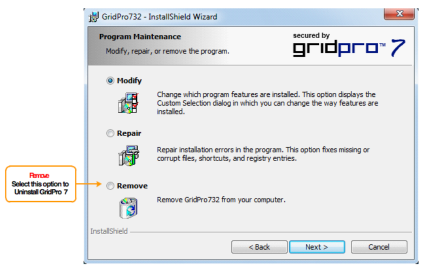 Modify your GridPro user credentials and click on ‘OK’ to save the changes. Best practice is to only change the password on the machine the person uses after connecting to your company network where your AD is available. If the password was changed outside of GridPro, users will need to log-on to the GridPro protected machine with the last password registered with GridPro, in this case, the old password. If connected to the company network domain, GridPro will recognize that the user’s network password has changed. At this point, GridPro will automatically unregister the user and force the user to go through the registration process at which time they will be required to enter the new network password and choose a target position/corner. If disconnected from the network at logi-on time, log-on with the previous password, connect to your company network, then do a standard Windows password change via Ctrl-Alt-Del, "Change a password" - this will prompt for a new password, and update the GridPro user credentials on the machine at the same time. If your password has expired on the company domain, once you have logged on with GridPro, you will be prompted to change your password. If you have forgotten the existing cached GridPro password and your network password has been changed. You can not use the above steps. You must bring the machine and plug directly into the network. You will need an administrator to access the machine and to contact SyferLock support to help you remove the user database. If I am a new user, how do I select my target position/corner? If you are a new user, after you enter your username and domain at the log-on screen, you will be brought to the "Manage GridPass" screen. Here you will be required to enter your network password and you will be able to select your target position/corner. What is the process for changing passwords? To change passwords, press Ctrl + Alt + Del and choose the ‘Change Password’ option. This will ensure that password changes are reflected both in GridPass (stored locally on your workstation) and in your corporate active directory account. My password changed on my corporate domain and I cannot log-on via GridPro anymore. If the password was changed outside of GridPro,, users will need to log-on to GridPro with the last password registered with GridPro (in this case, the old password). Once the user enters their GridCode, GridPro will recognize that the user’s network password has changed. At this point, GridPro will automatically unregister the user and force the user to go through the registration process at which time they will be required to enter the new network password and choose a target position/corner. How are password expirations handled? If your password has expired on the corporate domain, once you have logged on with GridPro, you will be prompted to change your password. This is similar to the experience when logging into a workstation protected by the default Microsoft Credential Provider service. What if I forget my target position/corner selection, what do I need to do? You can contact your Network Administrator who will be able to reset your account. This will require you to re-register where you will select your target position/corner. Can I change my target position/corner selection? Is there a limitation to how many times I can change it? You are able to manage your target position/corner selection via the ‘Change Password’ function. There are no limitations to the number of times you change your target position/corner. When is the MyGrid layout selection stored? 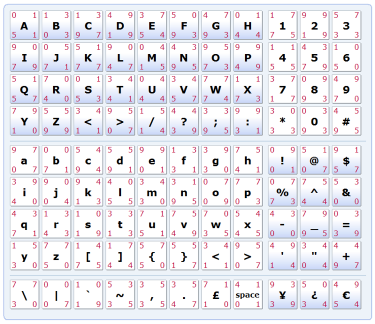 A change to your MyGrid selection will save after you have successfully logged on with the selected layout. If you select a new MyGrid and fail at log-on, the display will not be saved and, at the next log-on, the previous display will be shown. How do I reset all GridPro User accounts on a machine? Log-on to the machine and delete the file C:\Windows\System32\GridUsers.db. You will need administrative access to the machine to be able to perform this action. Once this file is deleted, all users on the machine will need to go through the registration process. Can I have both the default Microsoft and GridPro log-in tiles display side by side? Yes, it is possible to have both the set of tiles displayed as shown below. When users click on a Microsoft credential provider supported tile, they will be able to log-in using their domain name, username and static password. If they click on a GridPro credential provider supported tile, they will need to provide domain name, username and their GridCode to be able to log on. 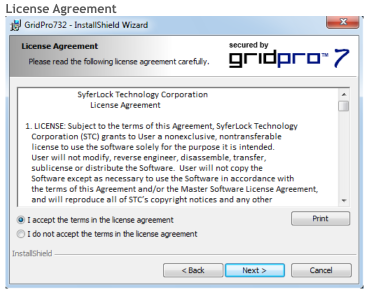 IMPORTANT NOTE In general, it is not suggested that this option to log-on via both the Microsoft and SyferLock credential provider service be provided as we consider the GridPro option to be more secure and see no added benefit from being able to use the Microsoft Credential Provider tile. This option is thus turned off by default. 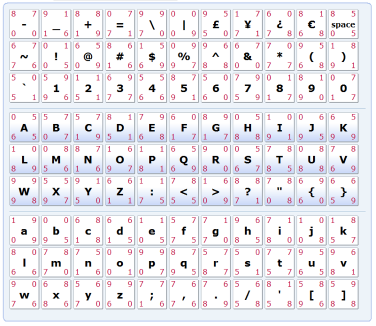 The following are a few samples of the MyGrid layout options that are provided. 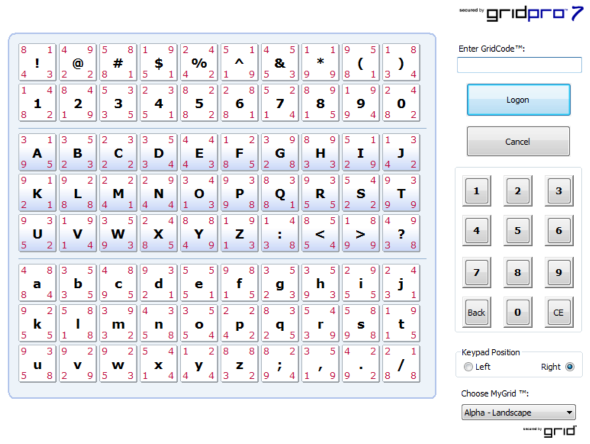 MyGrid is completely customizable and flexible to meet your usability criteria.